April already? We’re really burning through this year, aren’t we? 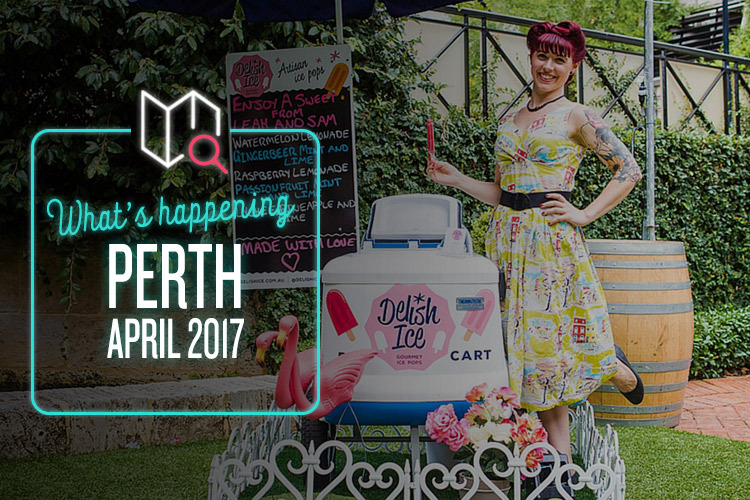 Better make the most of it while it lasts, so here’s a bunch of cool stuff to enjoy in Perth this month. Back for a seventh year of colourful, chaotic mayhem, the Ridiculous Obstacle Course is bringing a dose of gameshow-style madness to Gloucester Park. It’s a five-kilometre run/walk/scrabble/clamber/slip/slide/stumble through a range of creative obstacles, and it’s a guaranteed blast. Duck under the fiendish Sweeper. Take the mighty Leap of Faith. Glug your way down the Aqua Drag and hop over the Barrel Bounce, before taking on the epic four-storey waterslide finale. The course is suitable for anybody aged 13 and over, so assemble your team and get ready to ROC. Let’s be honest here; we don’t need to tell you anything else about this one, do we? The name alone was probably enough to have you bolting for Fremantle so fast you left a person-shaped dust cloud behind. Still, we’ve got nothing else to do, so here goes: the Fremantle Bacon Festival is a glorious triumph of all things crispy, smoked and streaky; side, back and middle; fried, grilled and cured. There’ll be tons of food stalls doing incredible things with bacon (bacon cocktails, anyone? Or what about some bacon ice cream? ), as well as plenty of tasty booze to wash it all down. There’s also a bacon cook-off, live music, and even a “Coma Zone” for when you lose all mobility. Regarded as one of Australia’s finest handmade and artisan bazaars, the Perth Makers Market is coming back this April. Over 150 super-talented creators are setting up stalls to showcase their wares, covering pretty much every niche you can think of. Clothing, homewares, jewellery, accessories, woodwork, ceramics, beauty products, toys, glasswork, paintings, terrariums and more will all be available to browse, making it the perfect chance to pick up something unique. Loads of food stalls will be dotted about too, as well as plenty of stuff for the kids to get stuck into. You may only know Buddhism as the celebrity religion of choice, but there’s a whole lot more to it than that. The birth of Prince Siddhartha Gautama, the man who would one day become the Buddha, is naturally an important date in the Buddhist calendar – and the Fo Guang Shan Temple is celebrating in style. Buddhists and non-Buddhists alike are welcome to head down and enjoy the multitude of events, workshops and performances, such as the bathing of the Buddha, meditation, tea ceremonies, Chinese calligraphy, dragon dances, art exhibitions and cooking demonstrations. There will also be a yummy range of vegetarian delicacies from all around the world to keep you going.